A pastor's effectiveness is in large part determined by how people in their congregation treat them. That’s why I created this web site. Here you’ll find an expanding number of resources, ideas, and tools that will help you better choose, compensate, appreciate, partner with, and minister to your spiritual leader. Whether you are looking for appreciation poems, search committee guidelines, clergy tax information, or help planning your next anniversary celebration, you’ll find it here. …because you understand him or her a little better. To quickly locate what you’re looking for, use the buttons in the left column of this page or the links in the table of contents at the bottom of the page. and the worst thing I’ve ever loved. I’ve never heard a pastor use those exact words … but I have heard many say exactly that. Most ministers I talk to enjoy being pastors. They don’t want to do anything else … anywhere else. But they are also a little frustrated, sometimes disheartened, often lonely, occasionally uncertain, and frequently dissatisfied with their own efforts and abilities. We live in an age of entertainment: movies, television, radio, and sports. The entertainers in each of those arenas know that they either produce success or they will be fired: create a TV hit or lose your job; put together a winning team or coach somewhere else. The business world functions the same way: increase profits or look for a different job. In fact, one of our fundamental values as "modern" humans is, "Contribute to success or someone else will take your place." We also take that value to church with us. It is ingrained in your heart and mine. It is also ingrained in the heart of your Christian pastor. As a result, congregations – often without knowing it or intending to – pressure their ministers to produce success … a success generally measured by attendance numbers. The pressure from the congregation, however, is minor compared with the pressure he puts on himself. At times he feels like a hypocrite when he preaches against sin because he knows that sin is still a dominating influence in his own life. He frequently compares his “success” with that of the church across town, and feels he doesn’t measure up. Some Sundays he looks into your eyes and imagines what you think about him. And his conclusions aren’t usually very positive. It is for these, and many other, reasons that your Christian pastor needs you. He needs your encouragement, your appreciation, your partnership, and your prayer. Your ministry doesn’t have to be big and full of fanfare to be effective. When it comes to ministering to your pastor the only effort that is too small is no effort at all. 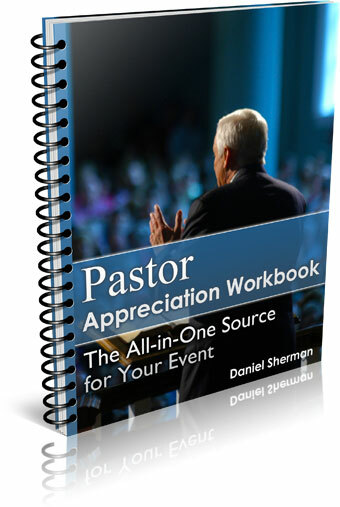 The 2011 Pastor Appreciation Workbook offers nearly everything you will need to brainstorm, plan, and execute your pastor appreciation or pastor's anniversary event. My Pastor Appreciation Blog points you to all the most recent updates to my-pastor.com. That way you can save time by going directly to the new ideas and information. Gifts from Israel are unique gifts that are sure to make your pastor feel appreciated. What can you give as a pastor appreciation gift? Here's what I want from my congregation. Ideas for pastor gifts or pastor appreciation gifts. I recommend these general clergy books for pastors and the congregations who love them. Pastor appreciation ideas, poems, gifts, programs, and skits...all for clergy appreciation. There are some excellent pastor appreciation books in print. Here are my recommendations. A pastors anniversary is an excellent time to show your pastor appreciation and to build unity around your church's vision. You can create a memorable pastor tribute by combining several of these elements. Create your own online pastor tributes! Brag about your pastor right here! This pastor appreciation book exposes your pastors secrets. Knowing them will give you a better understanding of your shepherd. Do you have pastor appreciation questions, or questions about your pastor search, your pastor's anniversary, or anthing about your pastor? Ask them here. Pastor jokes: laugh with your pastor...not at him! Your pastor's wife plays a unique role in your church. But she needs your help. Learn how to provide help for pastors through these instructive articles. How can I support my pastor? Great question. Here are some ideas. This is a partial list of pastor retreat centers. Just who is My Pastor? Contact me with your thoughts, ideas, comments, poems, and whatever else is on your mind. Finding the best church web host requires asking the right questions like, does a church web site exist if no one sees it? Developing an adequate pastor salary package is a challenge for every local church. But a little planning can make the clergy compensation process much less painful. 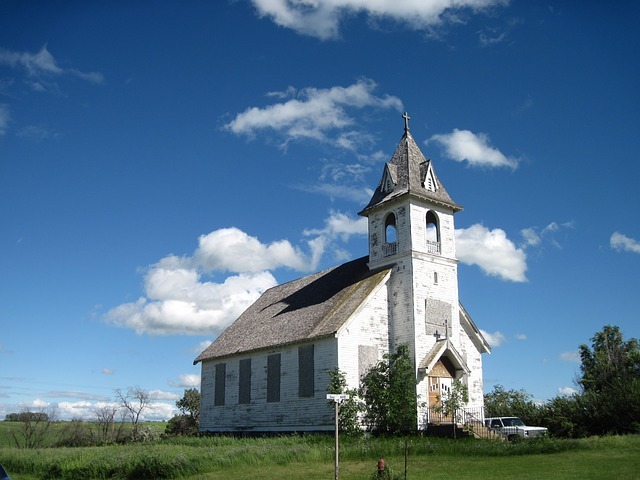 Church and clergy tax information can keep the IRS from paying your church a visit. Your pastor search begins here. Note that the pulpit committees task is three fold and there are four dangers to watch out for. This is the place to find descriptions of pastoral support ministries... or to write about your pastoral resource. Church fundraising ideas can be used to raise money for a special pastor gift, your pastor appreciation event, the youth group, or even for the church's general fund. Pastor burnout is the most likely reason your pastor has, or soon will consider resigning from your church. So you want to become a pastor. Maybe you should look at a pastor job description before you make your final decision. How do you become a pastor? What steps do you need to take? Pastor search correspondence templates help you keep potential candidates informed about the ongoing process. Your Pulpit Committee will need other types of correspondence as well. Developing a set of pastor search values is a vital step in finding the right pastor. When your pastor resigns it usually comes as a bit of a shock. How do you cope with this? What do you do now? Here are some more great ideas for gifts for pastors wives. Advertisements for Christian home based businesses abound. But I am living proof that you can find profitable Christian work at home that you enjoy.